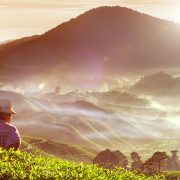 Tea is already popular around the world, and it’s starting to gain even more popularity among coffee lovers. Not only can it give you that morning boost, but tea also provides plenty of health benefits that coffee cannot. Those who are new to tea drinking will likely be picking between green or black tea. While the two have a lot in common, there are slight differences that may make you want to check out before committing to one or the other. Even though the end products are different, green and black tea come from the same place. Both are harvested from an evergreen shrub called the camellia sinesis, also known as the tea shrub. 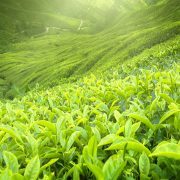 Green and black tea both come from the leaves of the tree shrub, but once the leaves are harvested, the process for making different types of tea varies. Because they come from the same plant, they have some common benefits. Both green and black tea are proven to be healthier options than coffee, but they provide different health benefits. 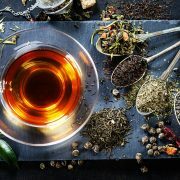 Green and black tea are also roughly equivalent when it comes to caffeination, but that largely depends on the quality and type of tea you purchase. One of the biggest differences between black tea and green tea is the flavor. A lot of the flavor comes from the way the two teas are made. Black tea is made by oxidizing the leaves of a tea shrub. This means that after the leaves are picked, they’re left to dry in the sun, or they’re put in a machine that dries them out. As they dry, the leaves gradually turn black – the same way a fruit turns brown and black as it sits out. This can make black tea taste sweeter than green tea. 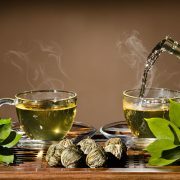 Green tea also comes from tea leaves, but the leaves are prepared differently. After they’re picked, the leaves are immediately heated. 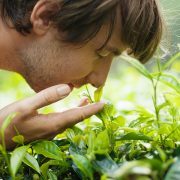 This keeps the leaves fresher, and it retains the color, and natural flavor, of the tea shrub. Those who drink green tea prefer it because of its natural flavor. When it comes to superior flavor, it all depends on your personal palette. You’ll be getting health benefits no matter which tea you choose, but there’s much more evidence to back up the benefits of green tea than black tea. While both are stuffed full of antioxidants, green tea is widely thought to be more effective at potentially reducing the risk of cancer and heart problems. 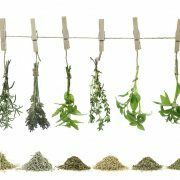 If you’re shopping purely for flavor, then you should try both green and black tea before making a judgment. But if you’re looking for the added health benefits, green tea is probably the right choice. 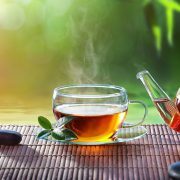 While black tea is certainly a healthy option, most studies available suggest green tea is better for you than black tea.